Edward Leedskalnin can be hailed as the real-life counterpart of the mutant antihero Magneto. He claimed to have discovered the secrets of the Egyptian, Yucatan, Aztec, and Asian pyramids. After his discovery of the occult secrets of the said structures, he applied his forbidden knowledge of hyper-dimensional physics and magnetism to build the enigmatic structure called Coral Castle. How did he singlehandedly build such complex structures? How did he move quarry rocks weighing over 2 million pounds? There are some witnesses to the construction of the Coral Castle, and they narrated that they saw levitating huge coral blocks and it seemed that Edward moved the blocks using his mind. The mysterious structure is located in Leisure City, Florida. The quaint Coral Castle is obscured by coral rock walls and is hidden from the sight of the city. The way Coral Castle was hidden from city people gave it a more eerie atmosphere and at the same time, it also amazed urban planners and civil engineers. There seems to be a lot of arcane background in the structures of the Coral Castle. 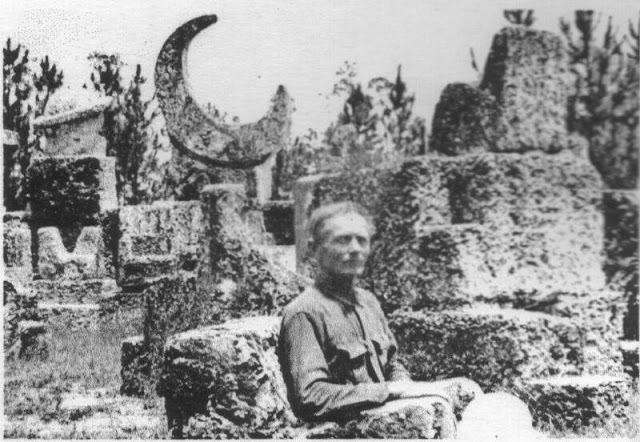 According to many researchers, the Coral Castle's design was based on cosmological alignments. Some structures may pay homage to ancient astronomical tools that man have used thousands of years ago. There are a series of ellipsoids that may portray a model of the solar system. There are also obelisks, a working sundial, lunar figures and strangely; a Heart Shaped Love Table. Edward Leedskalnin has an unusual interest in the field of physics, especially magnetism. He was also interested in how ancient people built huge monuments using only limited tools. Did he really uncover the secrets of the ancient magical ways of monument construction? 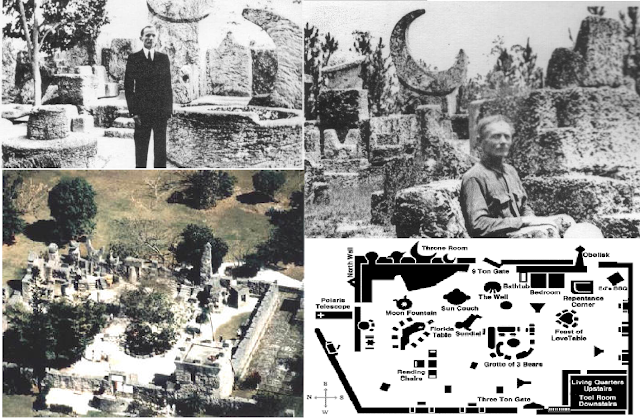 Contrary to popular belief, Edward did not build the Coral Castle using some sort of arcane magic or telepathic ability according to his friend named Orval Irwin. Orval was interviewed by many skeptics, and he was frequently asked about the secrets of Edward's magnum opus. Wittily, he scoffed the claims of paranormal aficionados that Edward used telepathy and transcendental knowledge to build the Coral Castle; He even spilled the beans and revealed the secrets of the Coral Castle in a book named ''Mr. Can't Is Dead! The Story of the Coral Castle''. 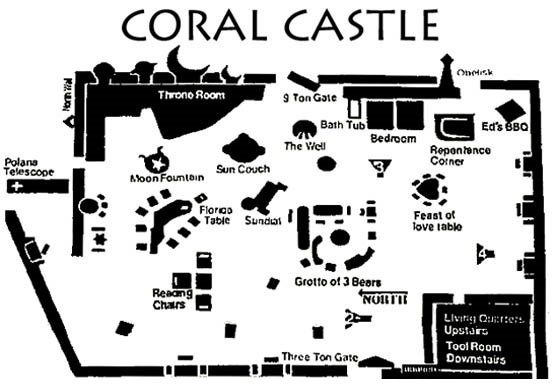 According to Orvil, the Coral Castle was built through patience, determination, and hard work not telepathy or magic.